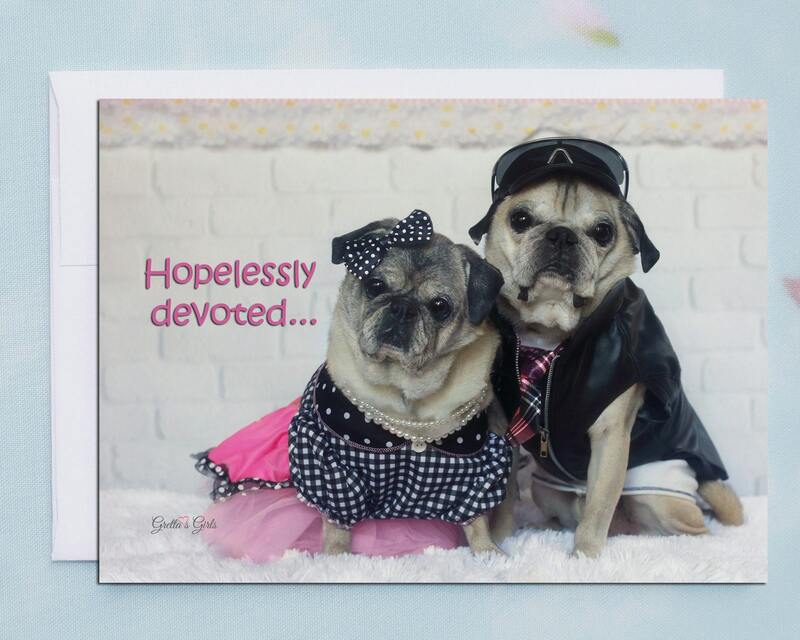 This item is one, "Hopelessly Devoted," 5x7 funny and cute anniversary card - ALL NEW by Gretta's Girls and Pugs and Kisses. AND SAVE 20% OFF YOUR WHOLE ORDER when you join our newsletter! 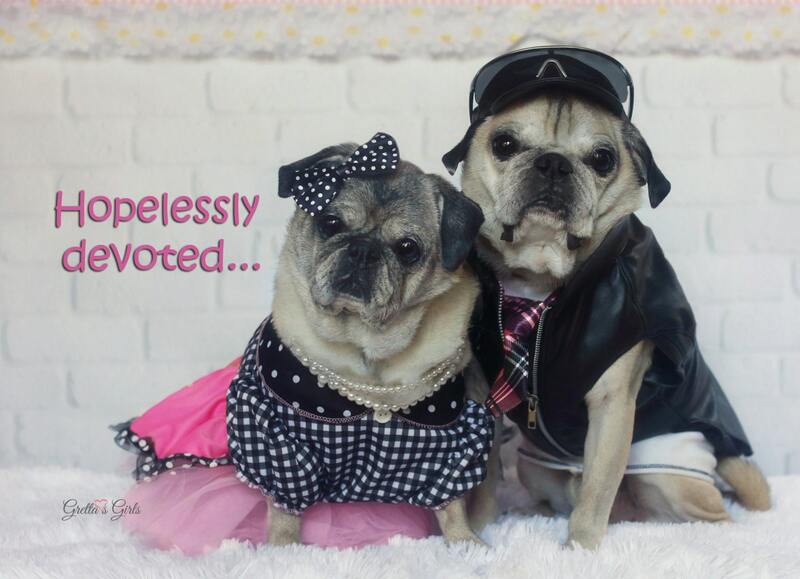 Who doesn't love Sandy and Danny??! !